Janice Ann Brown, 72, of Sheboygan, passed away early Friday morning, February 1, following a courageous seven-year fight with cancer. She lived a full life surrounded by family and friends. She was born on January 15, 1947, in Sheboygan to the late Erwin and Antoinette (Demshar) Kohls. 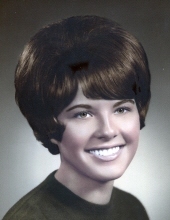 She attended Franklin Elementary School, Southside Junior High, and graduated from South High School in Sheboygan in 1965. She then attended college at the University of Wisconsin - Milwaukee and received her Bachelor’s of Science degree in Comparative Literature in 1969. Afterward, she continued work in the Classics Department at U of W - Milwaukee. While attending a race weekend at Road America in Elkhart Lake, WI, she met her husband to be Robert Brown and shortly afterward moved to Long Island, New York in the early 1970s. After her move to New York, she enjoyed actively helping with her husband’s racing career and traveling around the world. She mostly enjoyed being on the beach, and on the water in the Florida Keys and Bahamas and later enjoyed exploring New York City. Janice took a lot of pride in creating a beautiful home which was always open to everyone. A perfectionist in all that she did including gardening and cooking delicious dinners for get-togethers. She had a strong love of books and enjoyed sharing this interest with her many friends and family. She had a particular fondness for animals and had many beloved cats and dogs that were fortunate to be in her care. Returning to Sheboygan in 2004, she enjoyed her time socializing with old friends and making new friends around the area, particularly enjoying cheering on the Green Bay Packers. Janice was to her family and friends, a beautiful, caring and generous woman whose passing will leave a sad void in all their lives. Janice is survived by her daughter Shannon Bronson and her son-in-law, Eric Bronson; her sister Ernette Schultz and her brother-in-law, Gavin Anderson; her nephew Scott Schultz and grand-niece Claire Schultz. She was preceded in death by her parents, Antoinette and Erwin Kohls, her maternal grandparents, Marion and Joseph Demshar, and her paternal grandparents, Johanna and Hermann Kohls. Funeral Services will be held Thursday, February 7th, 2019 at 4:00 pm at Ballhorn Chapels in Sheboygan. A time of visitation and support will be held starting at 2:00 pm until the time of service. A memorial fund has been established in her name for donations to her favorite charities. To send flowers or a remembrance gift to the family of Janice Ann Brown, please visit our Tribute Store. "Email Address" would like to share the life celebration of Janice Ann Brown. Click on the "link" to go to share a favorite memory or leave a condolence message for the family.